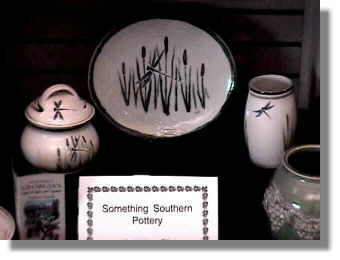 Something Southern Pottery has been drawing acclaim at craft shows, festivals, and other events all over the south. 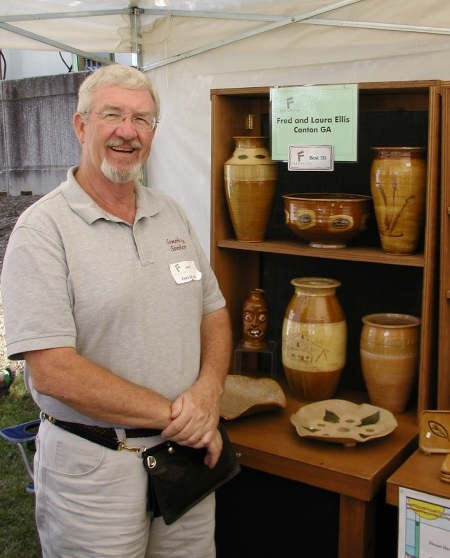 Their unique talent of handcrafting pottery in the southern tradition of excellence shows in the fine workmanship of each and every piece. 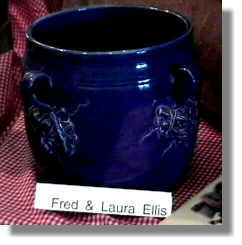 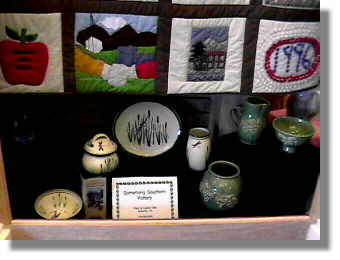 Fred and Laura Ellis, owners of Something Southern Pottery, take home award from Creative Arts Guild Festival 2006 in Dalton, GA on September 16, 2006. 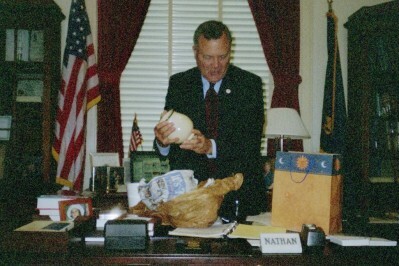 They won Best 3-D in the outdoor market..
Below is a piece of Something Southern Pottery being presented to Nathan Deal at his Washington Office by the Prater's Mill Foundation in June 2003.